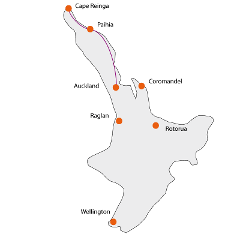 Absolute fun, cities, sun, surfing, Maori culture, hot pools and awesome beaches. 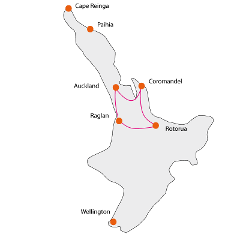 This summer tour offers the best of what the top and central North Island has to offer. FOOD KITTY (+NZ$245) FOR THE TOUR NEEDS TO BE BOOKED! Fun, city, sun and awesome beaches – this tour offers the best of what the Northland region has to offer. FOOD KITTY (+NZ$110) FOR THE TOUR NEEDS TO BE BOOKED! This summer tour focuses on New Zealand’s best surfing beaches, Auckland, cities, sun, fun and maori culture. FOOD KITTY (+NZ$140) FOR THE TOUR NEEDS TO BE BOOKED!